As a musician, you can travel one of two distinct routes: focus your creative energy on producing and performing original material, or serve up the still widely popular sound of those who came before. When: Saturday, August 19, 2017 at 8 p.m.
Bring your own lawn chairs or blankets (lawn chairs are available to rent for $4/chair). VIP seating available for Sponsors and Fest Friends. No smoking, alcohol, or pets permitted. There’s no public parking at Del Crary Park, but there’s neighborhood street parking nearby and ample parking in downtown Peterborough. Earlier this season at Peterborough Musicfest, the merits of the latter were clearly evident when tribute artist Elton Rohn delivered, with impressive accuracy, the early hits of Elton John before a packed Del Crary Park. On Saturday, August 19th, ABBAMANIA and Night Fever follow suit, paying tribute to ABBA and The Bee Gees and their respective huge catalogues of hit songs. Bottom line? New music will always have its place but the soundtrack of our lives is timeless, igniting memories of days long gone — days when things were less complicated and the years ahead seemed, well, years ahead. Through the 1970s into the following decade, it was impossible to escape the music of both ABBA and The Bee Gees, two of most successful commercial acts in the history of popular music. The former, born in Stockholm, Sweden, would achieve worldwide album sales estimated as high as 500 million while the latter, hailing from Australia, sold more than 220 million albums around the globe. Unless you were living under a rock, you heard, and sang and/or danced to, an ABBA or Bee Gees hit song. ABBAMANIA brings the music of Agnetha Fältskog, Björn Ulvaeus, Benny Andersson and Anni-Fryd (Frida) Lyngstad — the first letter of their first names formed the group’s name — back to the stage 31 years after their last performance together. 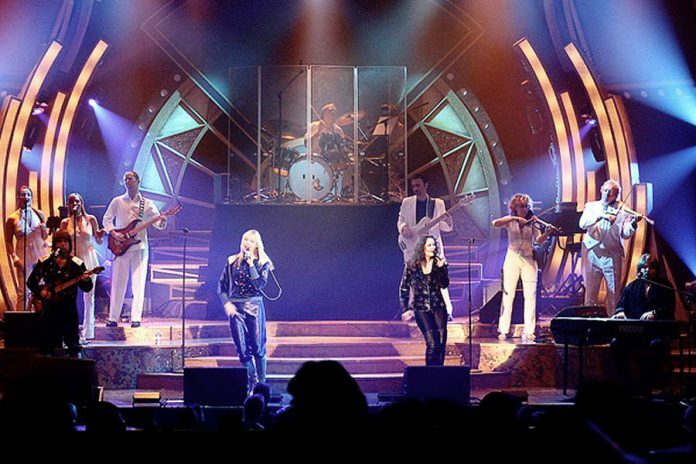 Re-creating the quartet’s infectious harmonic sound and associated disco era-glitzy stage show, the critically acclaimed tribute act delivers all the monster hits such as “Dancing Queen”, “Waterloo”, “Mamma Mia”, “Take A Chance On Me”, and “The Winner Takes It All” — to name but a few. Inducted into the Rock and Roll Hall of Fame in 2010, a testament to ABBA’s enduring popularity came in the form of the highly successful 1999 Broadway musical Mamma Mia! which subsequently toured the globe (ABBAMANIA performed for the cast), and again in 2008 when the film version of the production was the highest-grossing film in the United Kingdom that year. What’s old was wonderfully new again, if even for just a few hours. 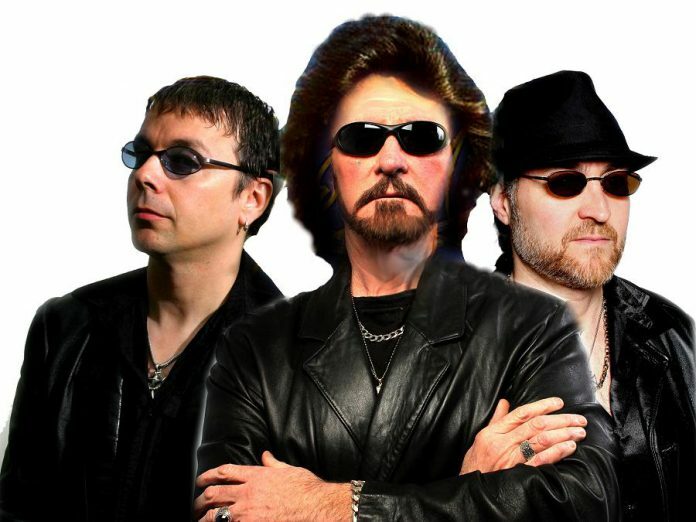 Because one tribute band is never one too many — a number of tributes have consistently packed Del Crary Park over Musicfest’s 31 years — Night Fever rounds out the August 19th show, delivering the hits of The Bee Gees. Formed in 1958 by brothers Barry, Robin and Maurice Gibb, The Bee Gees enjoyed great success from the mid 1960s and into the early 1970s on the strength of hits such as “Holiday”, “To Love Somebody”, “Massachusetts”, “I Started A Joke”, “Lonely Days”, and “How Can You Mend A Broken Heart?”. The trio’s recording of the soundtrack for the 1977 film Saturday Night Fever kick-started an even more commercially successful second life for The Bee Gees, courtesy of huge disco favourites “Stayin’ Alive”, “Night Fever”, and “How Deep Is Your Love”. The Bee Gees were inducted into the Rock and Roll Hall of Fame in 1997. Among the numerous accolades that came The Bee Gees’ way were eight Grammy Awards, including a Lifetime Achievement honour in 2015. Barry Gibb remains the only surviving member of the original lineup. ABBAMANIA and Night Fever are sponsored by City Hearing Aid Centre and Kawartha Cardiology Clinic. Peterborough Musicfest is presenting 17 free-admission concerts featuring a total of 22 acts during its 31st season — each staged every Wednesday and Saturday night until August 26th. For more information on this concert and/or the 2017 season, visit www.ptbomusicfest.ca or phone the Peterborough Musicfest office at 705-755-1111.